John Jeffries Martin, Chair of the Department of History, is a historian of early modern Europe, with particular interests in the social, cultural, and intellectual history of Italy in the sixteenth and seventeenth centuries. He is the author of Venice’s Hidden Enemies: Italian Heretics in a Renaissance City (1993), winner of the Herbert Baxter Adams Prize of the American Historical Association, and Myths of Renaissance Individualism (2004). In addition, he is the editor or co-editor of several volumes: Venice Reconsidered: The History and Civilization of an Italian City State (2002); The Renaissance: Italy and Abroad (2002); Heresy, Culture and Religion in Early Modern Italy: Contexts and Contestations (2006); and The Renaissance World (2007) as well as some fifty articles and essays. He is currently completing the first volume of Europe's Providential Modernity, 1492-1792, a work that offers a new interpretation not only of Europe in the early modern period but a rethinking of modernity itself. Martin’s further research focuses on the history of torture in early modern Italy, a topic he is pursuing through a study of Francesco Casoni, a provincial intellectual, whose writings on evidence and the art of conjecture did much to undermine the need for the use of torture in the courts of Europe in the early modern period. Martin has been a fellow of the John Simon Guggenheim Memorial Foundation, twice of the National Endowment of the Humanities, and has received support for his research from the American Philosophical Association, the Gladys Krieble Delmas Foundation, and the Renaissance Society of America. He has lectured, as the Alphonse Dupront Chair, at the University of Paris-Sorbonne and, as Distinguished Visiting Scholar, at Victoria College, the University of Toronto. He also lectures frequently to broader publics, most recently through a series of presentations on early modern Europe through the Program in the Humanities and Human Values at the University of North Carolina, Chapel Hill. With Richard Newhauser, Martin is editor of the series Vices & Virtues for Yale University Press. 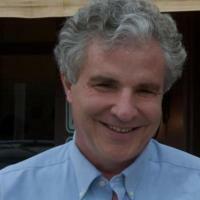 Martin teaches courses in Italian and European history. His most recent courses include a graduate seminar on the history of the early modern Mediterranean and an undergraduate seminar on the history of torture in the West. In the spring of 2013 he offered, together with Sara Galletti, a course entitled “Mapping Knowledge in the Renaissance: Raphael’s School of Athens,” a collaborative that investigated the epistemologies of various disciplines in Rome in the High Renaissance. The course was funded by a grant from the Humanities Writ Large initiative at Duke. Before joining the history faculty at Duke in 2007, Martin taught at Trinity University in San Antonio, where he also served as Chair of the History Department (2004-2007). Martin grew up on St. Simons Island, Georgia, attended St. Paul’s School in Concord, New Hampshire, and received both his undergraduate and graduate degrees from Harvard. Current projects: Crossing the Boundaries of Hercules: Knowledge, Faith, and Power in Early Modern Europe, nearing completion. John Jeffries Martin, Chair of the Department of History, is a historian of early modern Europe, with particular interests in the social, cultural, and intellectual history of Italy in the sixteenth and seventeenth centuries. He is the author of Venice’s Hidden Enemies: Italian Heretics in a Renaissance City (1993), winner of the Herbert Baxter Adams Prize of the American Historical Association, and Myths of Renaissance Individualism (2004). In addition, he is the editor or co-editor of several volumes: Venice Reconsidered: The History and Civilization of an Italian City State (2002); The Renaissance: Italy and Abroad (2002); Heresy, Culture and Religion in Early Modern Italy: Contexts and Contestations (2006); and The Renaissance World (2007) as well as some fifty articles and essays. He is currently completing Crossing the Boundaries of Hercules: Knowledge, Faith, and Power in Early Modern Europe, a history of Europe from the late fifteenth to the early nineteenth century. Martin’s current research focuses on the history of torture in early modern Italy, a topic he is pursuing through a study of Francesco Casoni, a provincial intellectual, whose writings on evidence and the art of conjecture did much to undermine the need for the use of torture in the courts of Europe in the early modern period. Martin has been a fellow of the John Simon Guggenheim Memorial Foundation, twice of the National Endowment of the Humanities, and has received support for his research from the American Philosophical Association, the Gladys Krieble Delmas Foundation, and the Renaissance Society of America. He has lectured, as the Alphonse Dupront Chair, at the University of Paris-Sorbonne and, as Distinguished Visiting Scholar, at Victoria College, the University of Toronto. He also lectures frequently to broader publics, most recently through a series of presentations on early modern Europe through the Program in the Humanities and Human Values at the University of North Carolina, Chapel Hill. With Richard Newhauser, Martin is editor of the series Vices & Virtues for Yale University Press.